From the mid 1850’s this was the business of James Lewis, a glass and china dealer. 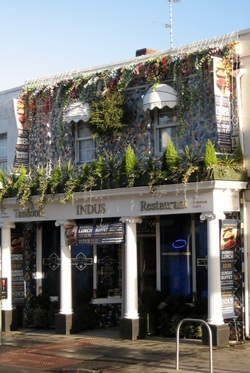 Around 1875 the business was taken over by Frederick Beddard and his wife Amelia. They had three children and their two sons followed their father into the ironmongery business. After Fredericks’ death in 1925, the business was sold to Gilbey Coole who had another shop in Gloucester. Although described as an ironmonger, like Mr Beddard, Gilbey Coole also sold glass and china items. Paraffin, which was used for heating, was one of the commodities available from this large, double-fronted shop. It was dispensed from a receptacle on the counter into the customers’ own container and sold by the pint. Most containers were acceptable with the strict exception of milk bottles, which were routinely returned to the dairies for re-use and the taste of paraffin would have tainted the milk. In the early days many householders still used gas for domestic lighting, which explains why inverted gas mantles were also available here. 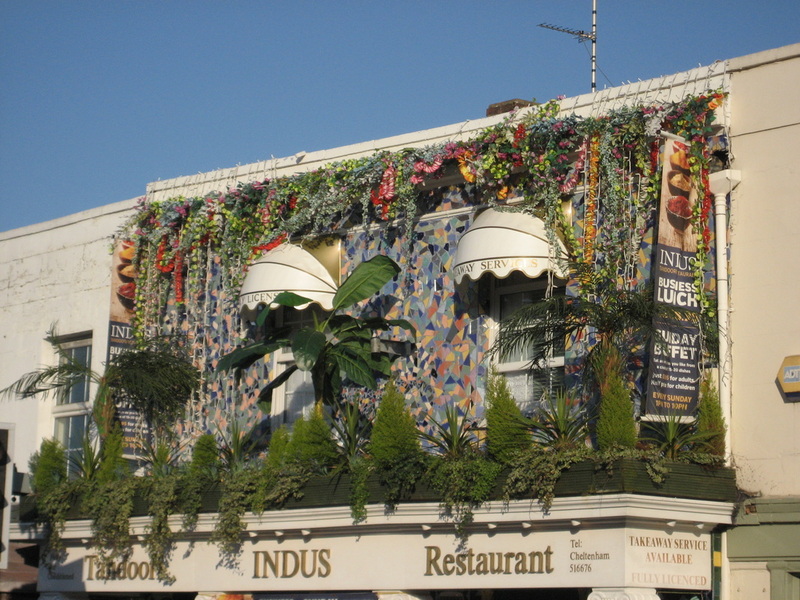 One of Gilbey Coole's assistants, Bob Bridges, bought the business in the 1950s and some local residents may still remember two long-serving members of his staff, Fred Balderstone and Olive Turk. For several years, Mr Bridges owned a small paraffin tanker lorry. 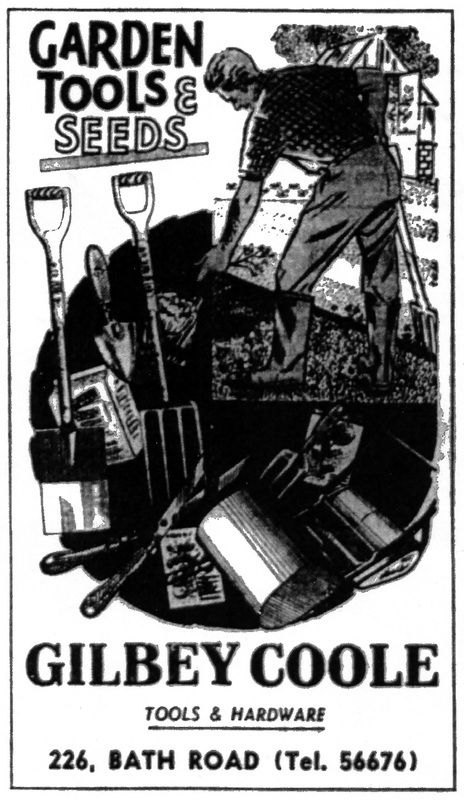 This enabled him to drive around the streets, filling customers’ cans (usually one or five gallons), saving them the task of carrying such a weighty item from the shop. 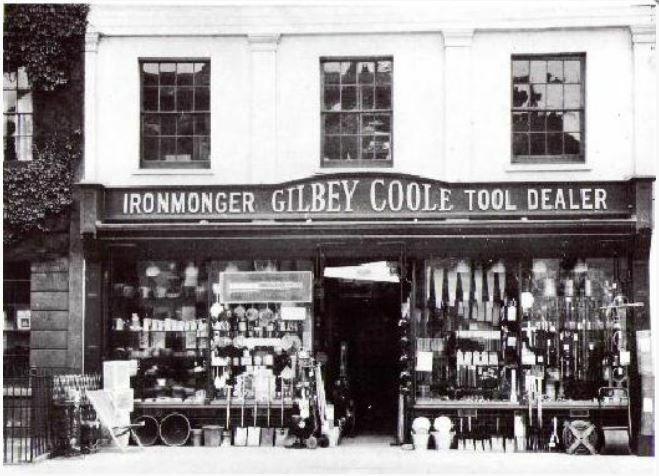 The business retained the name of Gilbey Coole and expanded it's range over the years to include tools for both the gardener and DIY enthusiast. When Mr Bridges retired, Gilbey Coole was taken over by Newmans the ironmongers, by now themselves under new ownership. This shop then became something completely different. For a time it was a vegetarian restaurant and since 2000 has been an Indian restaurant trading as Indus Tandoori. However the name of Gilbey Coole lives on, being still visible in the floor tiles at the front doorway of the premises.